Unconscious bias is ubiquitous. It exists both within and outside the workplace. And, it can present itself in myriad ways. Operating below our waking awareness, these attitudes and stereotypes can be related to a person’s race, gender, age, sexual orientation, religion, height, weight, hair color, clothing style, diet, accent, manner of speech, place of residence, socioeconomic status, surname, physical disability, alma mater, political affiliation, introversion versus extroversion, family lineage, and tattoos or body piercings. And, these are just a few of the more common expressions of it. Indeed, researchers have identified more than 150 types of unconscious bias.3 And, if you doubt its pervasiveness, consider this: manager and senior executive roles in the private sector are still 86% white and 70% male, according to the Equal Employment Opportunity Commission. While one could argue that the homogeneity of the executive suite may be somewhat attributable to other factors, implicit bias undoubtedly plays a part. This conclusion isn’t merely conjecture. If you’re human, you engage in implicit bias to some degree, whether you think you do or not. That’s because unconscious bias is rooted in the brain. The human brain has evolved in a way that allows it to group things together. These groupings helped our ancestors to survive by allowing them to make quick decisions about what was safe or unsafe and what was appropriate or not. Unconscious bias comes into play when people label entire groups as “good” or “bad,” often based on previous experiences, cultural influences, or (un)familiarity. Employees at large companies who perceive bias are nearly three times as likely (20% vs. 7%) to be disengaged at work.5 Gallup estimates that active disengagement costs U.S. companies $450 billion to $550 billion per year. Bias impacts retention. Those who perceive bias are more than three times as likely (31% to 10%) to say that they’re planning to leave their current jobs within the year. Bias impedes innovation. Those who perceive bias are 2.6 times more likely (34% to 13%) to say that they’ve withheld ideas and market solutions over the previous six months. While the effect of implicit bias from the bottom up is significant, it also impacts companies from the top down. Many studies suggest that unconscious bias contributes to lack of diversity in boardrooms and executive suites, which hinders performance and creates opportunities for more-diverse organizations to gain an edge. For instance, McKinsey & Company’s 2018 Delivering Through Diversity report found that companies in the top quartile for gender diversity on their executive teams were 21% more likely to experience above-average profitability than those in the fourth quartile. For companies in the top quartile for ethnic and cultural diversity on their executive teams the likelihood of outperformance rose to 33%. These findings collectively suggest that unconscious bias is already at play in your organization. 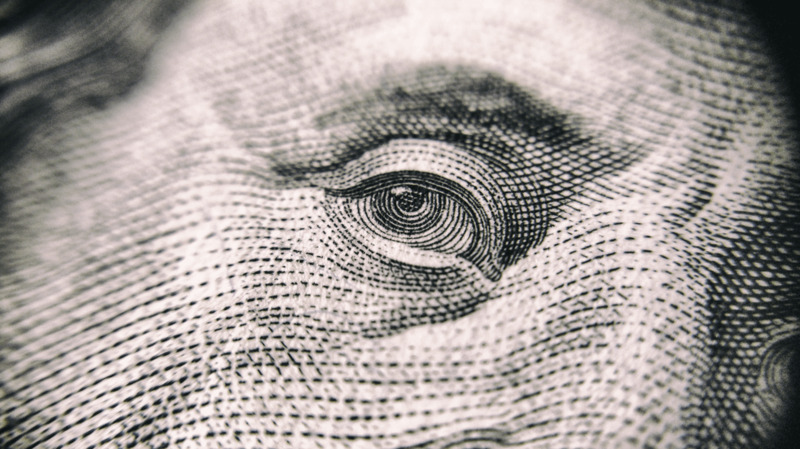 Beyond the risk of lawsuits, non-compliance and reputational damage, which can be devastating on their own, unconscious bias takes a hard-dollar toll on performance. Costly and insidious, it influences nearly every component of shareholder value from innovation and revenue growth to employee retention and engagement. The first step in stemming the tide is to understand the extent of the problem: do you know your organization’s unconscious bias baseline? These results can then be used to inform an appropriate action plan that combines communication and targeted reinforcement to change employee behavior. The tendency to be partial to people who are similar to us. For example, a hiring manager may immediately like a job candidate because they attended the same college. Happens when someone is unable to make an objective judgment about a person because they belong to a group that they already have preconceived notions about. For instance, an employee may automatically believe that his new Asian coworker will be good at math—even though she was hired for a writing position. Occurs when someone lets a trait positively influence their evaluation of other unrelated traits. A workplace example of this could be a hiring manager who believes a job candidate will be a good leader because he is tall. The horns effect—or the opposite of the halo effect—is when someone lets a trait negatively influence their evaluation of other unrelated traits. Occurs when people seek out information that confirms their preexisting beliefs. This often involves drawing selectively from available information and only acknowledging information that aligns with one’s own assumptions. For example, a manager may be engaging in confirmation bias if he only pays attention to the number of women who’ve left the organization after having children—and completely ignores the many women who didn’t—to prove his belief that women are likely to quit working after having children. When people hold back their own thoughts and opinions in order to fit in with a particular group. In the workplace, this can cause employees to lose their identity and it can stifle creativity. The human brain is designed to learn and build new neural pathways for changing existing behaviors and decisions. Consequently, an organization does not have to accept its unconscious bias baseline as a fact of life. Employees can start building better habits today. Much like a workout routine, the sooner and more consistently they start learning, practicing and reinforcing, the better. With the help of smart solutions that continuously tailor the learning program based on actual performance rather than anecdotal evidence, you can devise an effective action plan for reducing implicit bias within your organization. Detecting and correcting implicit bias is fundamentally a change management issue, thus it cannot be addressed solely through information dissemination. Furthermore, it is not a once and done learning exercise. For these reasons, effective implicit bias training ideally requires a fully adaptive learning solution that can tailor every learning experience based on who the learner is and how they perform in simulations throughout the course while capturing behavioral intelligence on their decisions. The case for using a fully adaptive learning and analytics platform to combat unconscious bias is rooted in learning theory. The deep-set habit of grouping and labelling people can only be disrupted by bringing these instinctual reactions into conscious awareness and then developing new neural pathways for responding differently at the point of critical decision-making. Through situational practice and reinforcement, guided by continual assessment of retention and improvement, learners can build “muscle memory” for reacting thoughtfully, not reflexively, the next time they are faced with a decision that might be susceptible to implicit bias. Implicit bias hits individuals and organizations where it hurts, and the costs are unacceptable in today’s hyper-competitive environment. Fortunately, you don’t have to take a hard punch to your bottom line. 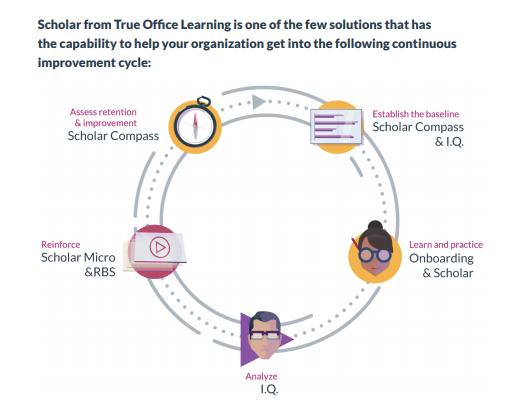 Adaptive solutions from True OfficeLearning can help you understand, and ultimately shift, your unconscious bias baseline, paving the way for higher levels of innovation, engagement, retention and growth. To learn more, visit www.trueofficelearning.com. Kirwan Institute for the Study of Race and Ethnicity, Ohio State University, http://kirwaninstitute.osu.edu/research/understanding-implicit-bias/, accessed October 2, 2018. “The real effects of unconscious bias in the workplace,” University of North Carolina, Keenan Flagler Business School, 2016, pg. 5. Grace Donnelly, “Study: Just the perception of implicit bias takes a toll on companies,” Fortune, July 13, 2017, http://fortune.com/2017/07/13/implicit-bias-perception-costs-companies/, accessed October 2, 2018. Kathy Caprino, “New data reveals the hard costs of bias and how to disrupt it,” Forbes, October 26, 2017, https://www.forbes.com/sites/kathycaprino/2017/10/26/new-data-reveals-the-hard-costs-of-bias-and-how-to-disrupt-it/#4f0a80904595, accessed October 2, 2018. “Delivering through diversity,” McKinsey & Co., January 2018.